These are just a few examples of instances parents face every day – situations in which there’s no clear right or wrong solution. I don’t know about you, but these can be some of my most frustrating moments of parenthood. 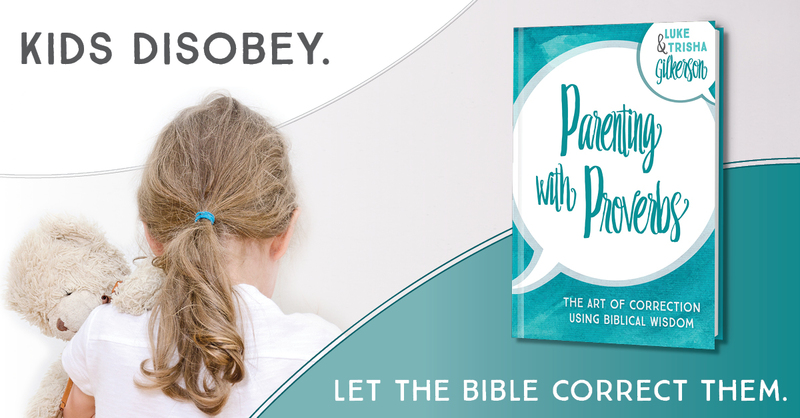 As a Christian parent, I long to teach my children what’s right. And that task is so much simpler (though not necessarily easier) when the “right answers” are clear. Like obey your parents; be kind to one another; thou shalt not steal. Cut-and-dried, just the way I like it. But what about when the answers aren’t so clear? What do we do when we come across problems which seem to have no certain solution? 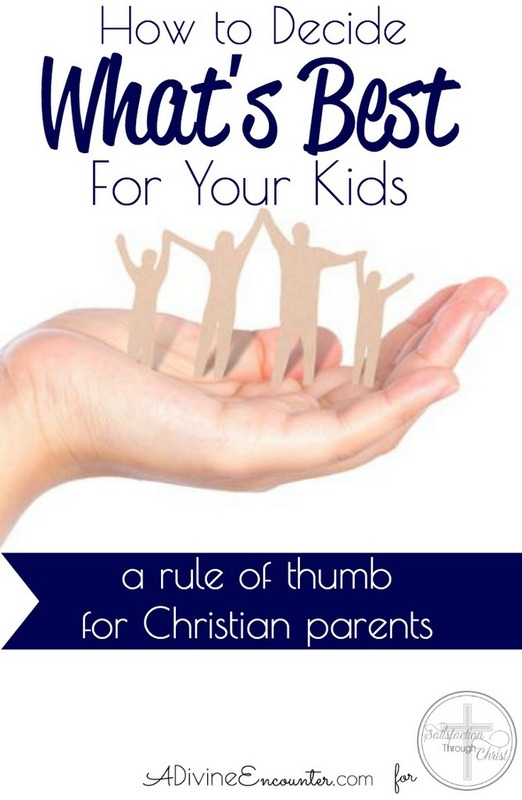 There are certainly a lot of factors to consider in situations like those I’ve described, but God has taught me through varying circumstances a very helpful principle – one which has been confirmed frequently in my own experiences with my children. It is simply this: The best thing is usually the hard thing. …as I’ve let my older babies cry for short periods at night when they demand more nighttime attention than they need. …as I’ve put my children down for naptime each day until I’ve decided they no longer need daytime rest. …as I place limits on my children’s use of technology when it becomes clear that technology is what they’re craving. …as I frequently take time to train my children in their household chores, and check their work on a regular basis, reteaching and retraining as necessary. …as I encourage my older child to lovingly confront friends and talk things out, rather than brush aside their conflicts. …as I insist that my children eat vegetables, whether they want to or not, and instill other healthful habits as well. Doing the hard thing pays off in the long run. This is true in so many aspects of adult life – health and nutrition, employment, relationships, and spiritual disciplines, to name just a few. It is no less true as a general, guiding principle in parenting. If it’s easy to spank my child, that probably means I’m angry and shouldn’t be spanking him. If it’s easy to let them have their way, that probably means I’m reinforcing their selfish sin nature. If it’s easy to do it myself, that probably means I am robbing them of opportunities to learn new skills and character qualities. What hard things have been fruitful in your parenting journey? What hard thing is God calling you to start doing today? Please take a moment and share with us by leaving a comment below. Thank you for this hard but encouraging word. I think that is often true about life in general. The questions are often complicated but the answers are simple… Just not always easy! I am so often blessed by what you write and I am thankful for you. Simple, but not easy – so very true, Kimberly! Your encouragement has blessed me today. Thank you so much for taking the time to leave this kind note! Choosing the spiritual over the temporal.. Intentional indeed! Thanks so much, Ifeoma! Good thoughts here, Jennifer. Something hard for me is trying to continue training my teens in life skills, so they’ll be competent adults. They think they don’t need that kind of input anymore! They’re wrong! I try to do it graciously, without being too controlling. Big one is keeping a clean, neat room…. That’s an excellent point, Betsy, and one I wouldn’t have thought of, since I don’t yet have teens. It’s good to know that the overarching principle still holds true as our children age – and of course, a sense of graciousness is so important. Thank you for adding to the discussion here!